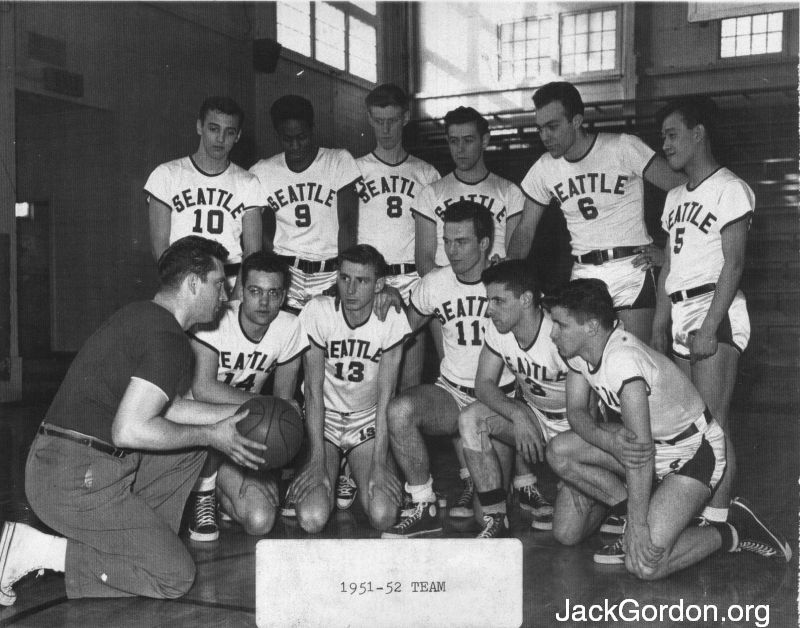 ﻿ Your 1951-52 Seattle University Chieftain Basketball Team! Unfortunately, I don't have a roster for this year's Chieftain team. I can identify Johnny O'Brien (#4) and his brother Eddie O'Brien (#3). The basketball coach was Al Brightman.